I’ve been visiting this site quite a lot over the years but until now I have never felt so compelled to post. I expect to be dismissed as an associate of Dr. Whitfield as what I am going to say is largely favourable about the guy but I hope at least to provide people on this forum with some food for thought before they dismiss him out of hand. I have never met Dr. Whitfield or any of his colleagues nor do I have any interest, financial or otherwise, in his enterprise. Believe what you want to believe, it makes little difference to the TRX-2 project as it has substantial institutional backers already. I have completed research on the internet to substantiate his claims and this is what I intend to outline here and you can corroborate the same research for yourselves. I will begin by saying I do remain a sceptic of Dr. Whitfield’s claims. No one should, or even can, embrace an idea that they know absolutely nothing about! However, I find the secrecy encouraging because it reduces hyperbole and indicates that Dr. Whitfield actually has something worth keeping secret. When companies quickly post quack science on their webpages or go into details of the procedures they are researching, I generally switch off, because I make the assumption that the ideas they have are not groundbreaking enough to protect. Whitfield holds a DPhil in Biochemistry from the University of Oxford. He continues to be associated with the University and is a member of their Glycobiology Institute. You can check that out on the University of Oxford’s website. Whilst you’re on their website, you can check out other references to him which legitimise a lot of what he is saying. His sometimes unprofessional language used when responding to the general public can easily be explained by lack of experience and the fact that he does not speak English as a first language (he was brought up in Germany). I believe he may have naively claimed a cure within a year due to lack of experience in getting treatments and cures approved, although he will be more concerned with British approval rather than the snail speed FDA. His success as an entrepreneur is documented on the Oxford University website. Posters on this forum may want to ask whether a promising entrepreneur and member of the prestigious Glycobiology Department at the University of Oxford would really be that interested in running a snake oil company, considering the huge damage to reputation that this would entail. This is a private company sponsored by NESTA, who have very strict investment criteria, and the NCGE Flying Start programme. I have confirmed with NESTA, a body in the UK who invest in technology companies, that they sponsor Thomas Whitfield. You can ask them too if you don’t want to trust me. I confirmed the NCGE link on the University of Oxford’s website. The company is also supported by the Kauffman Foundation, the university itself and Oxford Entrepreneurs, again all confirmed. These are not the sort of bodies who would be knocking on the doors of Provillus & Co. The company was formed as a private limited liability company in 2009 (I checked this with the UK registrar) and it’s accounting reference date is 30 September. As a private company, it must publish its accounts within 9 months of the reference date. So don’t expect to see those until the end of June 2011. As a private company, it also doesn’t have to publish the same level of detail as a public one so don’t expect them to say much on their website because they don’t have to. I don’t know why he is doing this. Maybe he’s seeking for the missing piece in the jigsaw, maybe he thought by bringing all the research together the answer was already there. It’s always worth being sceptical of his claims after all. I imagine he sells the old treatments to fund his company’s research. Still, even if he won’t have the cure in the next year, I do think he has the sort of brain that the hair restoration industry needs. I’ll let you come to your own conclusions, but I urge you all to follow up my research which has all been positive. Glycobiology is a sweet branch of science that shows us how to feed our cells and strengthen your immune system. Sugar is not all bad. Some sugar is actually the sweet spot of renewable health. what do you mean with „positive“ in regard T. Whitfield? I did the same as you did (research on the internet), and please believe me, I’ve really tried to find anything positive about him. But unfortunately, I didn’t. Recently, I did it again (regarding maybe “unfair” about him), and my results have been even more worse than ever before! I think, you know that I’m one of the biggest critics about Thomas Whitfield? It’s interesting, that you mentioned 3 times the term “entrepreneur”. Entrepreneur - Definition: “One who undertakes and assumes the risk of a business enterprise”. Did you know, that Thomas Whitfield just loves the term “entrepreneur”, but it seems he has absolutely no idea, what in fact “entrepreneur” really means in the REAL world? presstige: Verrätst du uns und den Studenten dein Erfolgsgeheimnis? Whitfield: Ich tue das, wofür mein Herz wirklich schlägt. Entrepreneurship: Allein das Wort fasziniert mich, und noch mehr das, was dahinter steckt. Nur Forschung oder nur Unternehmensberatung – das war nie mein Ding. Es gibt nichts Faszinierenderes, als im Bus eine Idee zu haben, und ein paar Wochen später wache ich auf und andere Leute reden von meiner Idee. Ein paar Monate später wache ich auf und die Idee wird umgesetzt – weil auch andere davon überzeugt sind, das man damit etwas bewegen kann. Also: Man sollte sich nicht in Schablonen pressen lassen und tun, was die Gesellschaft erwartet. Sondern Dinge der Liebe wegen tun. Und vor allem: Nicht für den Lebenslauf leben! presstige: Finally, could you please tell us and students your success-secrets? Whitfield: I always do, what for my heart really beats. Entrepreneurship: Just alone the word fascinates me, and more what relates to it. Just only research or only consultancy - that has never been my thing. [Hard work is not his thing! ] There is nothing more fascinating, to have an idea during a bus travel, and a few weeks later, I wake up and other people talk about my idea. A few months later, I wake up and my idea has been implemented - because other people are convinced about my idea too. Further more, you shouldn’t let press you into templates, and always just do, what the society expects from you. Instead of that, you should do things, because you love to do these things. And above all: Do not live you life just for a curriculum! I believe, Whitfield’s heart just beats for easy CASH - not for baldies! Okay, if you did the research, why are you dismissing the work of a glycobiologist employed by the best university in the United Kingdom and a top ten university in the world and who is sponsored by NESTA? I’ve read your posts and I’m not really convinced you have done your research. In one post you complained that Oxford BioLabs Ltd didn’t have financials on a webpage, even though there is an obvious explanation for that. If I can be blunt, you seem more like a cynic who’s been duped too many times in the past, rather than someone who approaches each new scientist to the field objectively. Perhaps scanning the internet to understand what glycobiology is will change your mind? » top ten university in the world and who is sponsored by NESTA? I just talk about Thomas Whitfield, because HE is THE man, HE is the “entrepreneur”. I’ve absolutely nothing against the Oxford University. And YES, I know very well, that the Oxford University is one of the best universities out there - that’s fact. So here it’s just all about the “entrepreneur” Thomas Whitfield. All related persons, Universities or Companies, I irgnore in this whole context. Of course, I checkt them out as well, but I keep them out, because we just discuss here “Thomas Whitfield” - you know your topic TITLE? By the way: I have no idea, what you try to tell us. Should all HairSite members send Whitfield money? Is it that? If everything works well as YOU claim, so where is the problem? oh, believe me, HE IS VERY WELCOME! I would actually recommend you don’t send him any money, unless you want to be invited to his clinical trials. I do send him money, albeit the absolute minimum amount because if there are to be clinical trials I want to play a part in that and access is limited to premium members of his site. I consider it a form of gambling with reasonable odds. 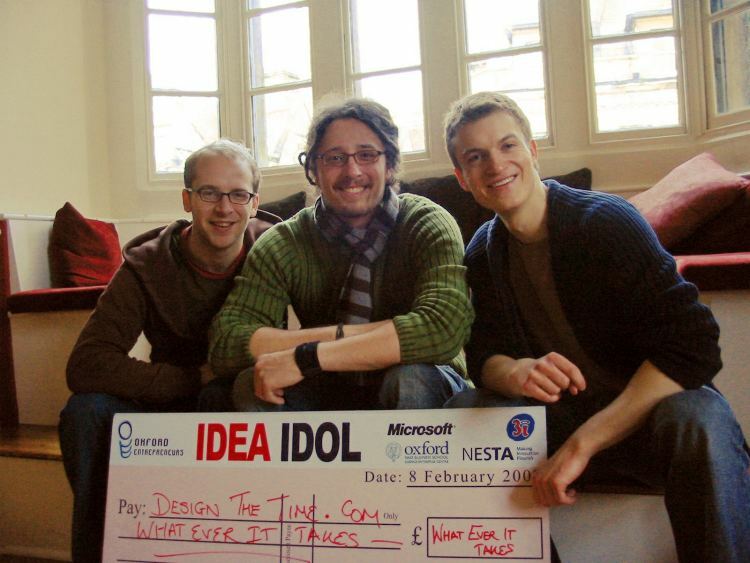 However, the vast majority of his funding comes from NESTA and the University of Oxford. I do think you need to look at the bigger picture to assess Whitfield’s authenticity. For me, I weighed up the implausibility of a hair loss treatment that works against the implausibility of Oxford University and NESTA funding research into snake oil. Whitfield has even apparently been loaned staff from the university for his research - I can’t imagine academics putting up with it unless they were actually achieving something. My hunch is that Thomas Whitfield has knowledge of the Holy Grail in hair multiplication and it has something to do with glycobiology, which includes studies into how cells recover and replicate. I am simply not a scientist and I cannot even pretend to understand anything more than the absolute basics but I’m guessing he knows how to teach dermal papilla cells to be hair cells when they’re being multiplied (currently the problem with multiplication). Either that or he knows a thing or two about wnt. Are you guys for real?Dont send money to this guy!! !Dont visit the site!! !I mean i know that they say a sucker is born every minute but this is one of the things these forums should be for, protecting the suckers!!! I’m not a sucker. You’re assuming I am because I pay $12 a year (less than I earn after tax in half an hour) in order to follow the work of a glycobiologist from a top UK university who is sponsored by NESTA and supported by the Kauffman Foundation. Sure, it’s a gamble, but I’m no sucker. I work in risk management as a day job and I’ve weighed up the risks and taken action accordingly. I’ve always been savvy about where my money has gone and I’ve not made a bad call yet. » risks and taken action accordingly. The better question is: Why are you so GUNG-HO on what others think of dr whitfield??? For someone to be claiming to be an average nobody, you sure put a lot of thought and time into convincing people otherwise. I’m just trying to keep an open mind and encouraging others to do likewise. I must point out that I’ve actually said in an earlier post to not give the guy any money, unless like me you want to keep tabs on his company. I just want to redress the balance. People here are very gung-ho against him, I think it’s important to re-instil objectivity. My personal sentiment is that the likelihood of a European glycobiologist finding the solution to the problem is much more likely than an American quack working for a company whose main business line is in wigs (Aderans for those who don’t know what I’m talking about). » I’m just trying to keep an open mind and encouraging others to do likewise. » guy any money, unless like me you want to keep tabs on his company. » him, I think it’s important to re-instil objectivity. » for those who don’t know what I’m talking about). First of all: Baldness knows no bounds!! Man whatever, this whole thing is so obvious that i feel stupid even to go into a debate. This guys sells old products and ask you to send money for his newsletters LMAO. AZ1984, Personally I haven’t dismissed him or whatever it is he may be working on. But until his company shows us something to get excited or hopeful about I won’t be putting any money in. Good luck to you though and I hope for all our sakes something positive comes from the guy. The speed at which he’s been suggesting his project would advance is crazy. It wouldn’t make any sense on either side of the Atlantic. I agree his connections are a bunch of highly respected groups. But Occam’s Razar still suggests that he is either a con artist or has too little understanding of what he is doing to be worth paying attention to. Maybe he has a new idea about the biology involved in our problem. But so far I see nothing to suggest that he has ANYTHING more than a raw idea. And he doesn’t seem to have any understanding of the hurdles involved before it sees the light of day. I’ll keep you posted with any information I receive. I can’t be bothered with Facebook and Twitter though, so I’ll probably not be the first to hear things! Just to update everyone, I’ve been in correspondence with a representative of TRX-2. The generally poor presentation of the e-mails I have received, especially with regards to spelling and grammer (the guy kept referring to MBP) has dented my confidence somewhat but I will persevere for the time being as I am paying them a derisory amount for the information. I also understand that it is currently a very small organisation of scientists and the business side of the enterprise certainly leaves a lot to be desired, so I’ll give them the benefit of the doubt for now. The most interesting thing they have advised me is that they have lodged patents in the UK. Now, for those unfamiliar with UK patent law, it’s important to note you will not be able to see them on the relevant website yet. The UK patent office is disappointingly slow and it can take up to 18 months before they’re published. Understandably, after the hassle Histogen is going through, I sympathise with TRX-2’s decision to continue in stealth. (Personally, I wouldn’t be surprised if Histogen’s troubles have been caused by a disgruntled company who didn’t understand how to use their own technology, and I recommend people boycott them because they’re slowing down Histogen’s research). So, the clock is now ticking on TRX-2. If they’ve recently lodged the patents, I guess we’ll know if something’s happening by September 2011. If I see no patents published by then, I’ll know to cancel my membership. For a cost of $19, which included a consultation from a dermatologist and occasional Amazon vouchers, it could be worse! » Anyway, thanks for the update! You have to be kidding? From what I’ve read about these two, you’ve got a serious scientist and an entrepaneur going head to head. My money is on the scientist in this case. No question. I’d like to post something in response, but yet again this stupid website is saying my post contains an unacceptable word. What is going on with this cretinous filter?